Space Cabin Audio is a progressive music software company created for the sole purpose of raising the expectations in the virtual instrument industry. Space Cabin Audio was originally conceptualized in 2015 by Kris Siegers when the current available drum software catalogs were not meeting his needs. Kris, aka “Captain Pro Tools” with a long list of accomplishments including over two decades of engineering, producing, writing, collaborating, Pro Tools wizardry, and teaching, looked to a local session drummer and friend Alexander Glassford to create a catalog of drum sounds for his own personal projects. Alexander brought years of session experience, tuning prowess, educated technique, an arsenal of custom and vintage drums and cymbals to support the goal Kris originally pictured. With the limited time remaining before the closure of the historic Blue Wave Studios in Vancouver BC, Kris and Alexander went to work to create a trend setting sample pack in one of the best studios in the city. Both with years of experience working together in the infamous live room “Studio A”, they took on the patience game of mastering the art of capturing sounds using progressive techniques and unfaltering attention to detail. It was here that they quickly realized that something special was being created. Something much bigger than just a personal catalog for Kris. 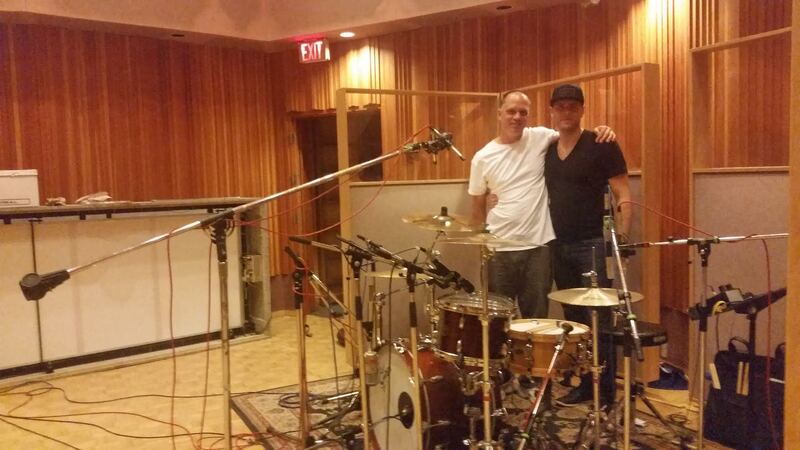 Soon after the session was finished, Kris and Alexander knew this venture together was not going to be just a personal drum library. The groundwork was set and the passion was in full momentum. Thus the creation of Space Cabin Audio. Moving forward, Space Cabin Audio intends to create a library of multi instrument catalogs that capture the best Studios around the world to provide you with the ability to access these brilliant rooms with a simple download from home. With the always progressing industry of virtual instruments Space Cabin is dedicated to provide education along the way to give you ability to master the art of utilizing music software and applying it to best support your personal ventures. We are excited to introduce our first sample pack Galaxy Drums and soon to be released Desert Drums. Thank you for your interest in SCA and we look forward to providing you with new sounds from another universe.